Croswait Custom Composites is a highly skilled custom boat building company on the Outer Banks of North Carolina. 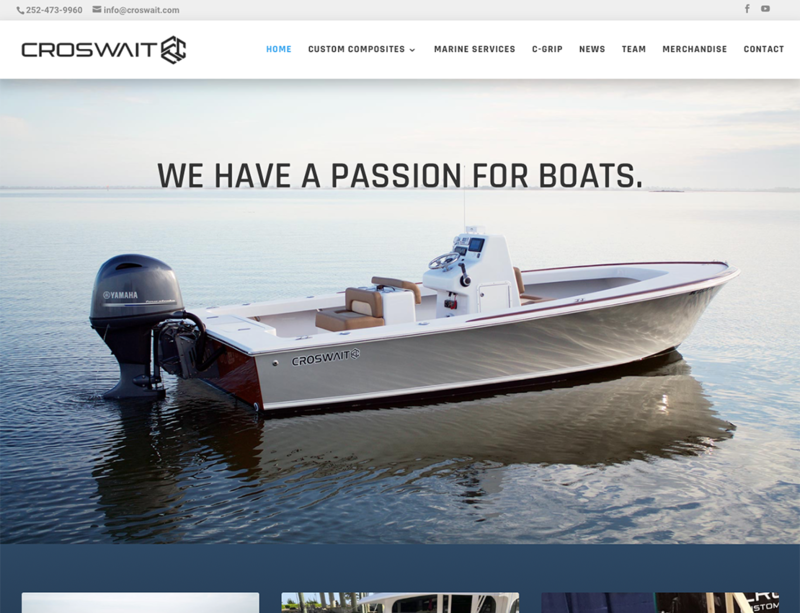 Their company is built on three generations of boat builder experience and capable of fixing or building just about any boat-related request! Croswait has been rapidly expanding as a business and was in need of a clean and beautiful website to exhibit all that they have to offer.